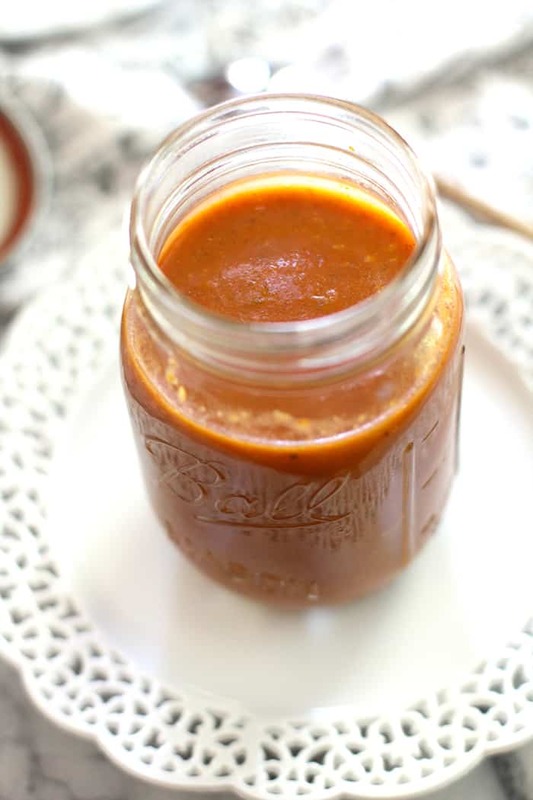 A Tex-Mex lover’s dream come true, this Homemade Enchilada Sauce makes everything taste better. It’s basically just a spiced up roux – thickened with flour, and full of Mexican flavors! A fusion of United States cuisine and Mexican cuisines, Tex-Mex involves the heavy use of ingredients such as shredded cheese, meat (particularly beef and pork), beans, spices, and flour tortillas. Dishes such as burritos, nachos, hard tacos, fajitas, and chimichangas are all Tex-Mex inventions. My kitchen is definitely leaning most towards Tex-Mex (comparing other cuisines), as I incorporate more and more of these dishes. Last Spring, I created a special menu item under Recipes, called Tex-Mex. I will continue to add to it as I go, so stay tuned for other recipes, including Shredded Beef Chipotle Enchiladas, Chicken Tortilla Soup, and the Cilantro Lime Rice I just made. BTW, I’m TRYING to lighten up just a bit on the spice level. I realize that I’m usually heavy on the spice and that the average person is not. So if you are cooking my recipes, beware. For example, with this recipe, you could remove the seeds from the jalapeño and use less of the chili powder and cumin. 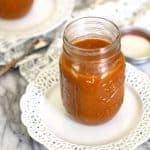 I used this Enchilada Sauce for my Shredded Beef Enchiladas, but I’ve also drizzled it over a plain old crunchy taco and burrito bowls. I know you can buy cans of enchilada sauce in the stores, but TRUST ME, this is better. 🙂 The secret ingredient in the sauce is the flour, which is used to thicken it. Letting it cook for 15 – 20 minutes after adding the chicken broth and tomato sauce is key to having a great finished product. For my enchiladas, I just spread the sauce over the top of the stuffed tortillas, and then added cheese before baking. 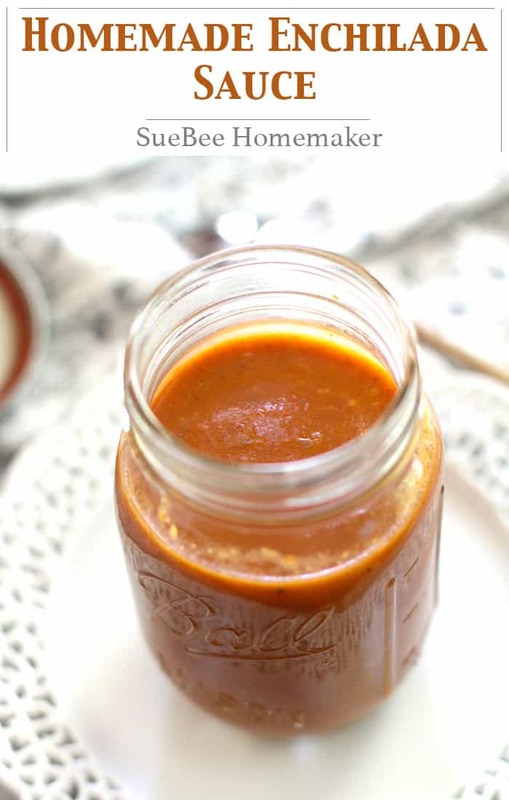 Homemade Enchilada Sauce can be stored in the refrigerator for up to a week or so. You can also freeze it for several months. My recipe made two jars, or about 3 cups total. to puree the sauce until smooth. Just in case you are interested, I’m making my Easy Fish Tacos with Avocado Crema this week. Since I have several avocados on my counter, I’m thinking that a bowl of my Chunky Avocado will also be making an appearance to our table. We really can’t get enough Tex-Mex here, and most of these recipes are figure friendly so that is a huge plus as well! 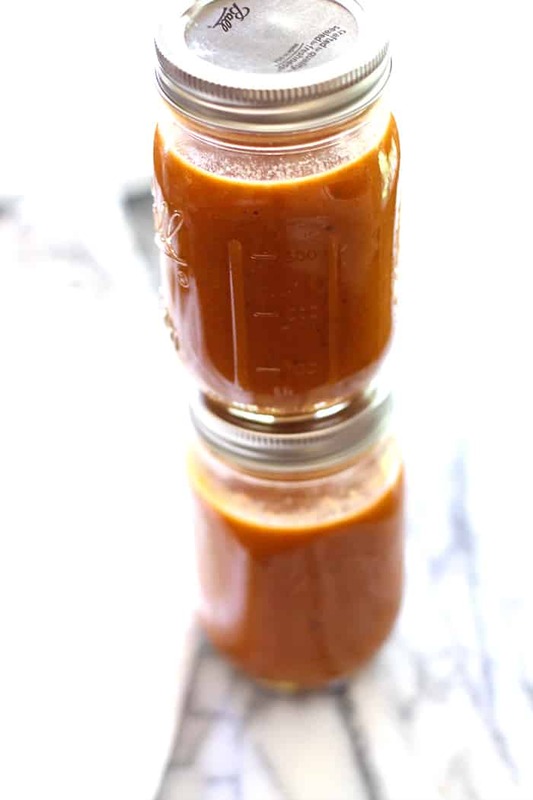 This Homemade Enchilada Sauce is basically just a spiced up roux - thickened with flour, and full of Mexican flavors! 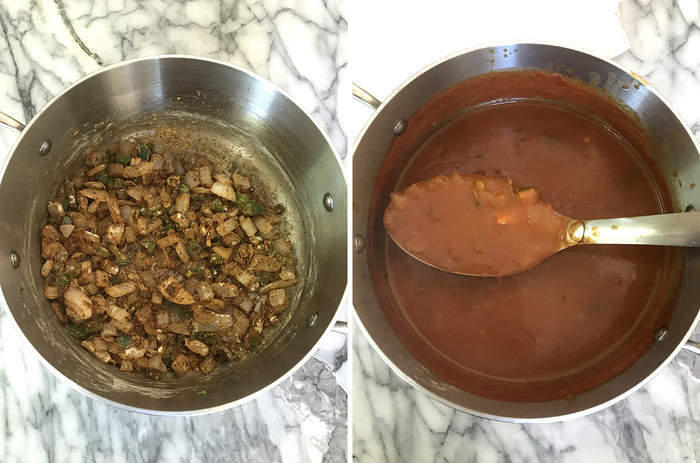 Heat sauce pan to medium heat. Add olive oil, onion, and jalapeño and cook until soft. Add garlic and stir for another 30 seconds. Add chili powder, cumin, salt and pepper, and stir for one minute, allowing spices to soak in. Add flour and stir for 2-3 minutes. Mixture will appear to be dry. Add chicken broth, tomato paste, and tomato sauce, and cook for 15-20 minutes, allowing sauce to thicken. Remove and let cool slightly. Take immersion blender (or pour into regular blender) and puree enchilada sauce until smooth. 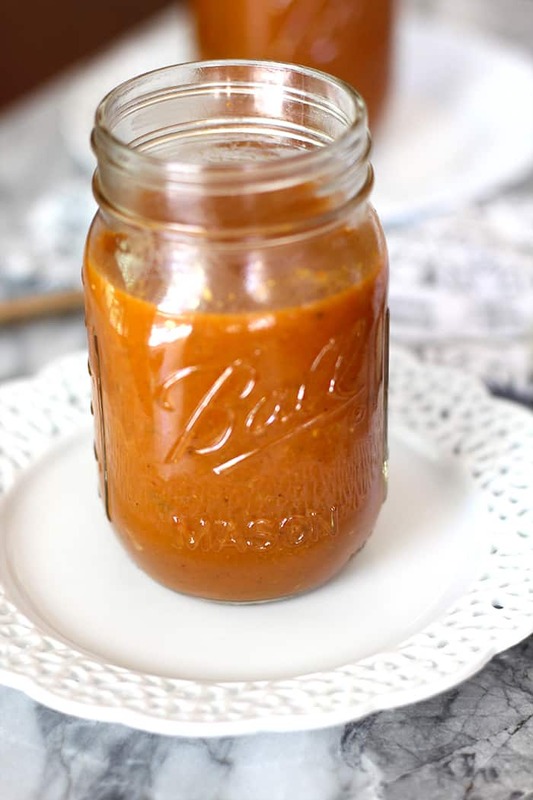 Store sauce in jars or airtight container. This sauce freezes well for three months. Made this to use in the chicken tortilla soup and it made it, will be trying the enchiladas soon as well. Yes….. I am all about homemade. Love it. Let’s get this party started and have the fish tacos tonight!